For the experienced name in Mount Holly commercial electrical contractors, call on D.P. Murt Co. Inc. D.P. Murt is a veteran-owned company based a short drive away in Pennsauken, and we have been serving the electrical needs for businesses all over Burlington County for more than 30 years. 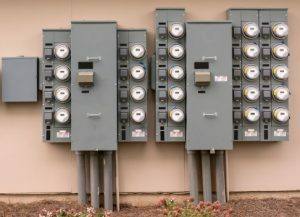 We are your source for wiring upgrades, generator installation and repair, or complete system upgrades and much more, and we have the knowledge and experience to complete the job on time and on budget. Our highly trained technicians have worked with every type of business. We’ve successfully repaired and upgraded electrical systems for industrial plants, car dealerships, offices, restaurants and much more. We can install or maintain switchboards, circuits and lighting, and we can ensure that your HVAC and fire alarm systems are wired properly to stay operational. If you’re thinking about a business expansion or relocation, call on us…we’ll design and build a completely functional new system, including new generators, that keeps your building operational and efficient while minimizing shutdowns. Click here to see more about our commercial services, including our 24/7 emergency hotline service. For businesses looking to further reduce costs and their carbon footprint, our technicians are also on the cutting edge of green technology. We can install solar and wind technology along with more energy efficient lighting for your business. If you’d like to find other ways to reduce costs, ask about our energy conservation audit…we can help show you where energy and money is being overused in your facility. If you’d like to know how our service and experience sets us apart as Mount Holly commercial electrical contractors, contact us today for a free electrical survey. We think you’ll love our dedication to keeping your business running at a fair price. D.P. Murt takes care of the power, so you can take care of the business.